18 hotels with a sea view are waiting for you on the Cap Corse. 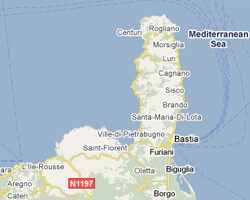 The "Cap Corse", called "Island in the island" extends over nearly 40 km long and ten miles wide. It offers striking landscapes between sea and mountains, authentic villages and picturesque fishing harbours. The road runs along the rugged coastline. At the seaside you can find few beaches mostly with pebbles. The hilltop villages offer magnificent views of the sea. 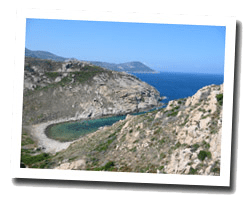 In Cap Corse enjoy the pleasure of a sea view hotel.